The following graphic was made by a professor at MIT. To highlight how easy it is for the senses to be fooled. The squares marked "A" and "B" are the same shade of grey. i.e., THEY ARE OF IDENTICAL COLOUR. A≡Colour Code RGB(120, 120, 120). B≡Colour Code RGB(120, 120, 120). As we go about our lives everyday, is the reality of what we perceive always what we think it is? 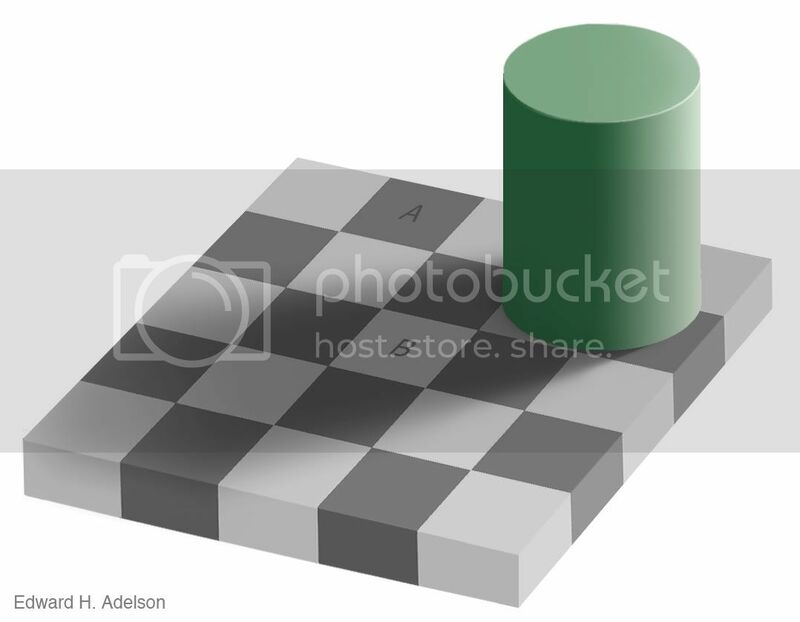 Or is our perception of the daily environment a bit like the squares A and B story? Indeterminism is the concept that events (certain events, or events of certain types) are not caused, or not caused deterministically (cf. causality) by prior events. In light of the above, the elusive nature of perception, and Indeterminism, how should we change our approach to decision making? 1. If causation is weak and the future is indeterminate, should our complete focus be on fortification of current assets and reduction of current bad liabilities, instead of future projections? 2. If perception is elusive, which it certainly is, should this totally alter the way we have been taking decisions till date? The only answer that comes to my mind currently is "Do not tamper too much, too suddenly."